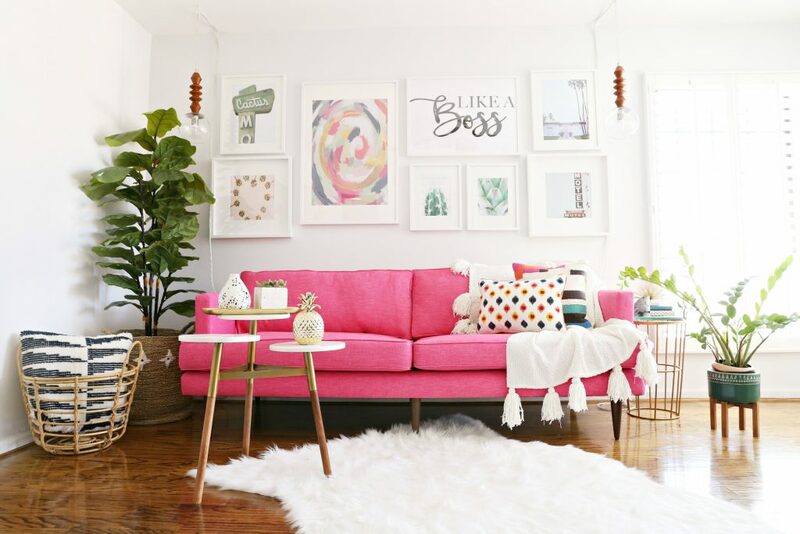 Do you have a hard time not knowing what to do on your gallery wall? 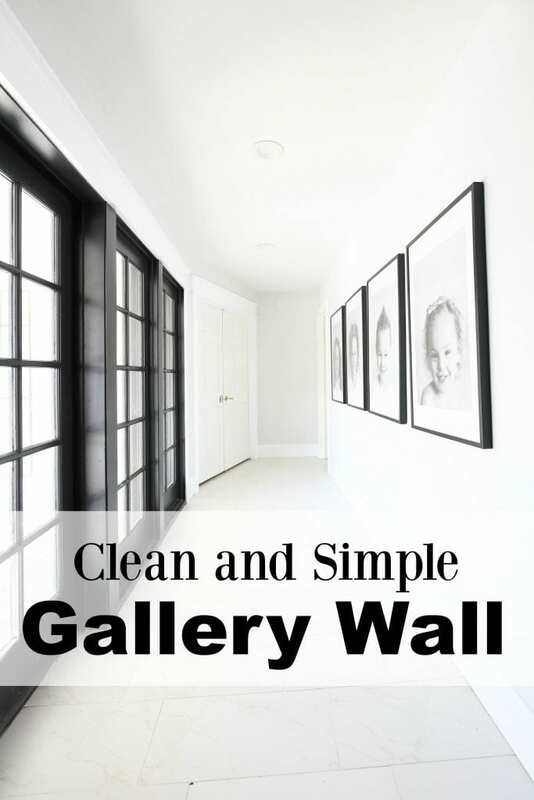 Do you do artwork or photos on a gallery wall? 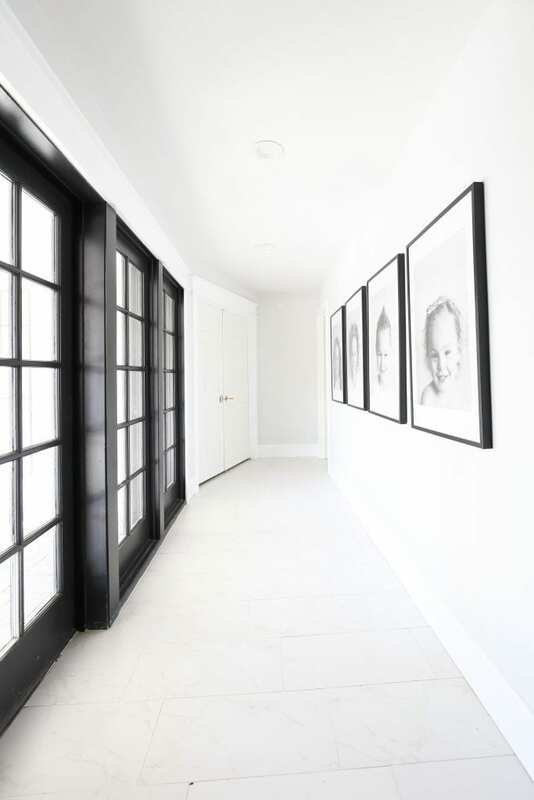 At my house I have a little hallway that leads to my master bedroom and also my babies room. I was a bit unsure what I should do down the hallway. Then I decided that a simple gallery wall is exactly what the wall needed. I did not want it to be crazy so I decided an oversized gallery wall would be great. 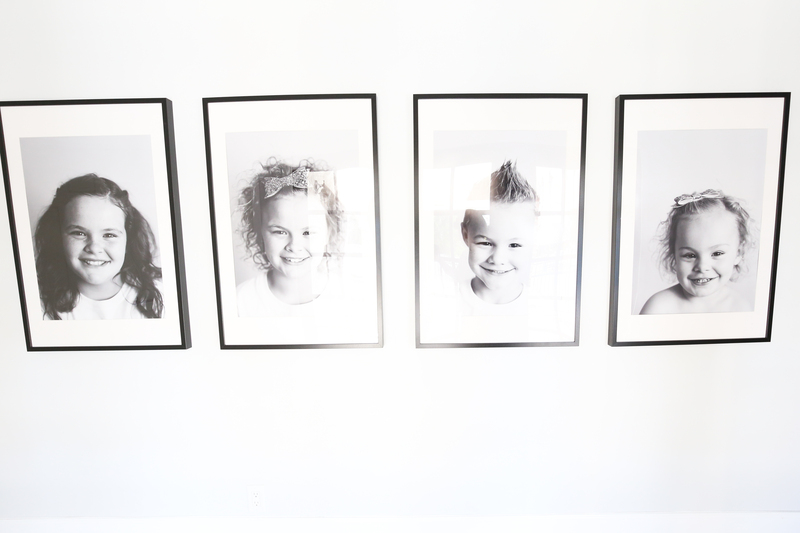 My mom as Mother’s day gift to me had pictures of my kids taken by the amazing Abbie Martinsen. They turned out so cute and knew they would be perfect for that space. 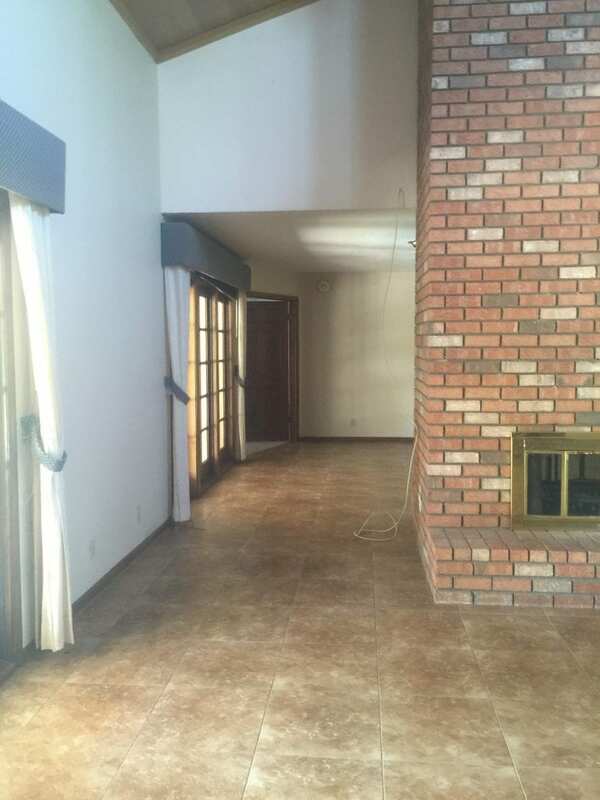 This is what the hallway looked like when we bought the house. It has come a very long way since this picture. I still can’t this is what it looked like. Now lets talk about how we transformed this space. It was great because the photo shoot was very simple. I first had all my kids wear simple clothes. The photos of my kids were all down from the waste up so I did not have to worry about what they were wearing on the bottom. For there tops I knew since all the photos would be going on the same wall I wanted to them wear similar things. The best thing was that I just ordered white Hanes t-shirts for all of the kids. It was the best because it was cheap and easy. Abbie had a simple backdrop set up in a bedroom and each kid took about 5-10 mins. She got a few shots of each kid and then we were done. We were only there for about 20-30 mins. It was quick and easy. If you are doing a photo shoot with kids keep it as quick and simple as possible. I love both black and white and color photos for gallery walls but I do think about what photos I have before I start a gallery wall. If I am doing “real life” photos then I normally will print the pictures in black and white because the color don’t normally work great together. I also love black and white photos because they look really clean. If I am going to use color photos for your gallery wall you just want to make sure that the colors work well together and that you can balance the colors within the gallery wall. 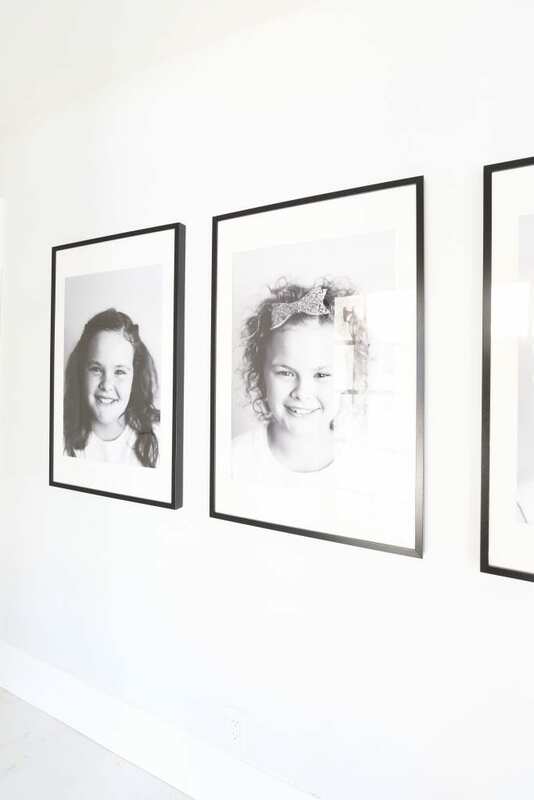 For the gallery wall down my hallway I had four pictures of my kids that I wanted to put on the wall. Another thing I wanted was for the decor to be simple since it was in a hallway and I wanted the gallery wall to be oversized. I went with the Ikea 24×36 Ribba Picture frame. Both Mallory and myself have used these frames in lots of different areas of my home. We love these frames. Most of the time I get my photos printed at Walgreens or Costco. I love Walgreens because I feel like they always have great deals going on. My Walgreens is also right by my house and they can do the photos quickly. I love how clean and simple my hallway gallery wall is. Seeings these really oversized photos of my kids right when I leave my room. Another thing I love are the black french right across from it. You can read all about the paint colors in my home HERE and all about my flooring in this post HERE. Next time, please check for typo’s, grammar and sentence structure. I was very interested in learning about framing family photos, but this posting has too many incomplete sentences and is very hard to follow. I never reply to blogs, but thought it was important. Amen to Mel’s comment. This was hard to read! But the photos look great. Thank you for the Ikea frame recommendation! 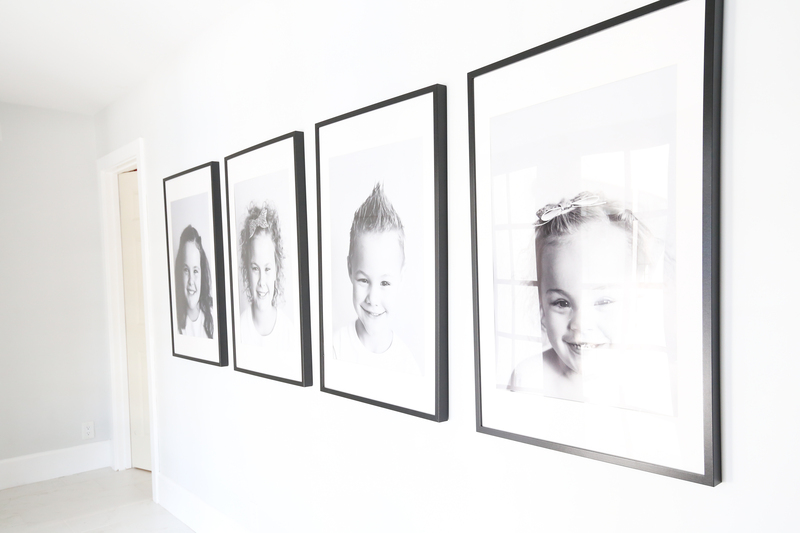 What size photo enlargements did you have printed?